I’ve been using med ball increasingly in workouts, both in my own training and when working with clients. Why? Well, first and foremost because they’re FUN! In a context where a large segment of the population envisions exercise as a cumbersome obligation rather than a life-enhancing privilege, injecting a dose of playfulness into the mix can only be beneficial! 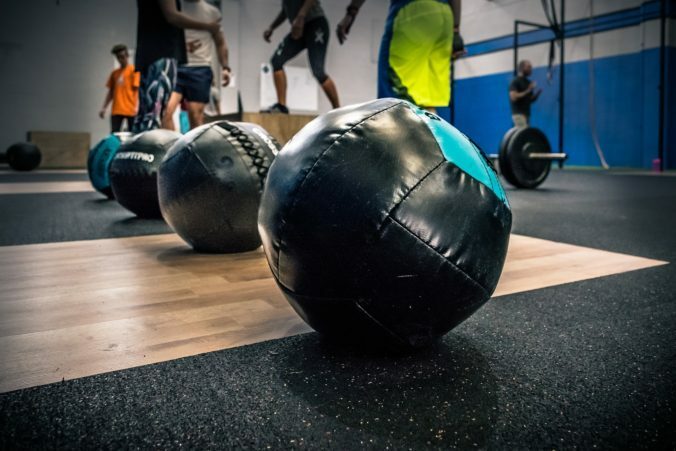 Balls can add a fantastic explosive yet low-impact cardio component to any workout when used in movements like slams and tosses—the latter of which can not only be done vertically, but horizontally too, using a wall against which to throw the ball in a rotational movement—give it a try, your core will thank you! Want to develop better balance? 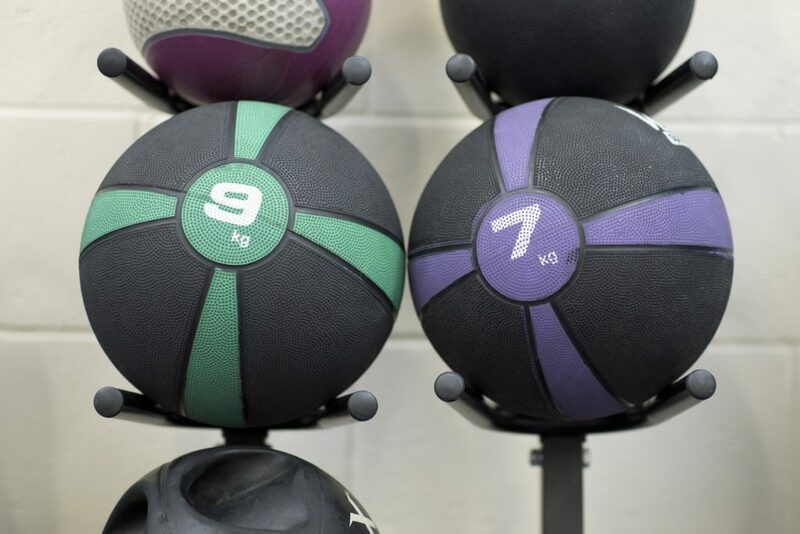 Balls are also a fantastic tool for that, adding a beautiful element of instability to your workouts, and elevating simple moves to a whole new level! In my experience, balls are also a great way to develop the hand-eye coordination that many adults believe to have lost over the years, or simply to never have acquired. Many of us have a few (or several!) memories of school yard dodgeball games gone awry, and willingly using a ball again can seem like a daunting prospect at first. Still, there’s something magical in witnessing someone go from thinking I can’t possibly do this! to realizing that they are, indeed, doing this and that it’s not nearly as scary as they had made it to be! No matter which workout you’re doing, rest as needed to keep the highest possible quality of movement! Did you know that you can get circuit training workouts delivered straight into your inbox every two weeks for free? Join my Special Crew and you’ll never be bored with exercise again! Add yourself here to sign up.